Villagers in Muğla, Turkey, have been in the frontline against fossil fuels for decades and despite their efforts, the Turkish government is extending licenses for coal plants to operate in the region. This will not only lock Turkey in a deadly, dirty energy future, but will prevent any efforts to keep fossil fuels in the ground and ensure that we stay below 1.5 degrees in order to avoid catastrophic environmental breakdown — something that we and the people of Muğla cannot afford anymore. Coal has polluted their air and soil, poisoned their olive trees, and caused irreversible health issues to their children and elders. They can’t live like that anymore: they want to be free from fossil fuels. Stand in solidarity with the people in Muğla for our climate, our planet and our future! Learn more about the true cost of coal. Thank you for signing in solidarity with the people fighting coal for us all! Now would you do one more simple thing in support? 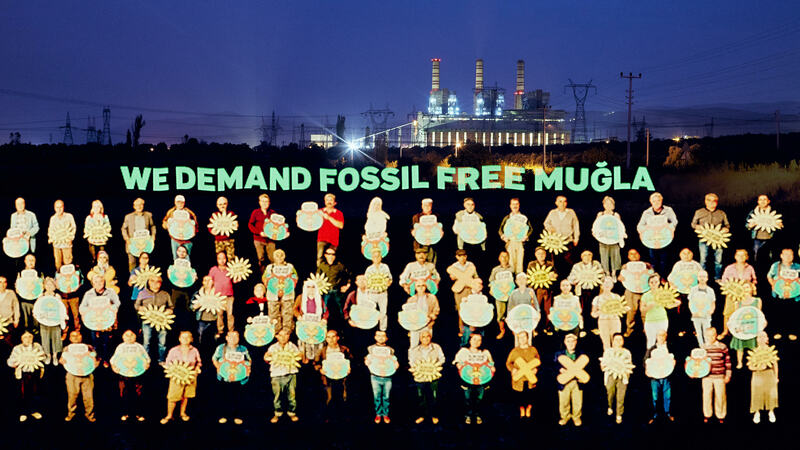 Let's spread this story on Twitter and bring solidarity to the people in Muğla fighting coal for us all. Send words of support to the people battling coal to protect their land -- and the planet.